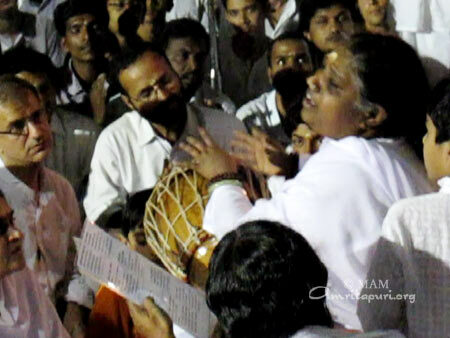 Usually Amma is on tour for the Sivaratri (Night of Lord Shiva) which occurs in the month of February. During this special occasion, devotees are supposed to stay awake all night chanting bhajans to Lord Shiva. Just before midnight, she asked for the bell to be rang and everyone was called to join her! Many were still up, waiting for such a unique opportunity. In no time the place got filled with joyful ashramites and devotees. 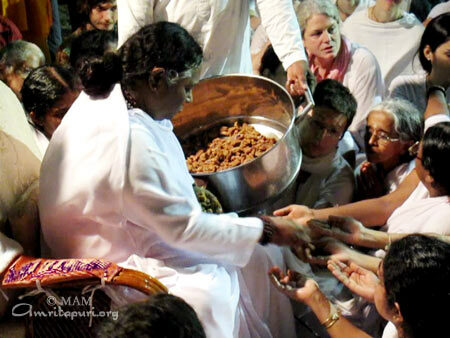 Around 1am Amma was back in her room, leaving hearts and faces filled with love and inner joy. 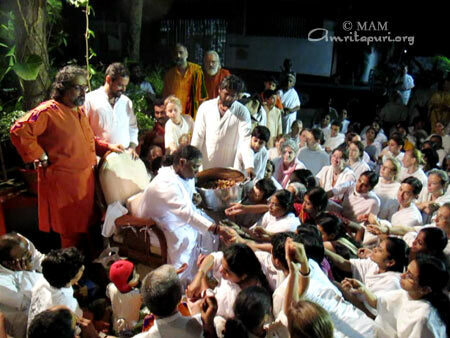 Happy Sivaratri to all from Amritapuri! 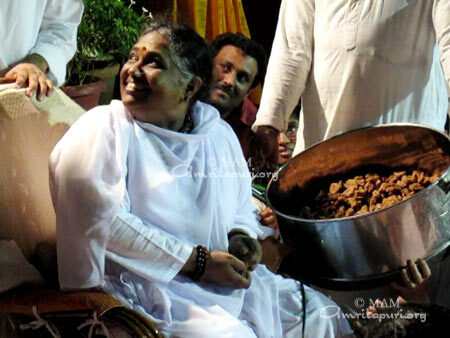 wow…We realy njoyed..:) It was realy awesome..
Shiv Shamho…..Shiv Shambho …… Shiv Shambho………..
thanks priyan, reading your post and looking at the pictures gives us at least a tiny bit of “being” with AMMA too on this special night. It was really an amazing and unique experience… I feel so fortunate! !